Quentin Faust has joined SettlePou to head up the firm’s Business Counsel section. His practice is focused in three basic areas, securities law and capital market, mergers and acquisition, and corporate and transactional intellectual property, which he describes as “all the IP you can do without a science degree.” He also advises clients on a daily basis on the full spectrum of corporate and business matters. 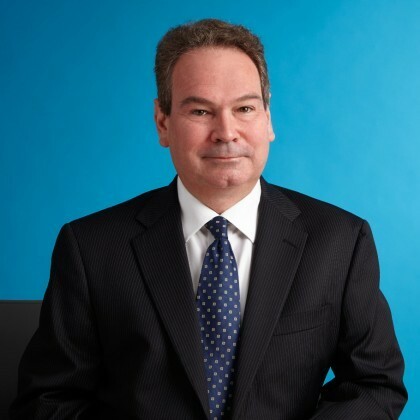 Quentin also has been able to work in his desire to be a writer into his legal practice, authoring a number of articles as well as writing a book on Texas corporate law for Bloomberg’s BNA corporate practice portfolio series and is as well a frequent speaker and presenter on business law issues, corporate structure and governance and securities law. While he has been an attorney for the past 18 years, he’s not one of those lawyers who always knew he would go to law school and practice law. “When I took those aptitude tests in junior high school, I was all over the map,” he says. “Those tests said I should be a lawyer, a teacher, and actor, and a writer, so I put off being a lawyer for a while. Dallas gave Quentin the chance to work for large law firms on very complex and sophisticated transactions at firms like Jones Day, Arter and Hadden, and for the last 12 years at Andrews Kurth,where he was a partner. He belongs to GC (General Counsel) Netweavers, where he networks with lawyers serving as local general counsel, and he is president of Business Navigators, a group of local business leaders who provide, among other things, educational and outreach programs to the DFW business community.